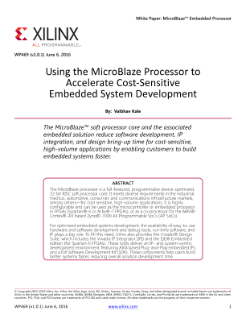 To help you quickly deploy your application, the MicroBlaze processor includes three preset configurations analogous to familiar processor classes. 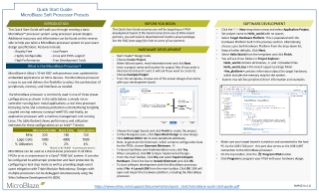 Experienced FPGA designers can use the Vivado® HL Edition design tools to target the MicroBlaze processor to any supported Xilinx device at no extra cost. Starting from one of these configurable presets, further customization is possible from a variety of specific processor options and a catalog of driver-enabled drag n’ drop peripherals such as PWMs, UARTs, DMAs, serial interfaces, to satisfy the specific needs of the application. It is also available as part of legacy IDS embedded edition for older FPGA device families like Spartan®-6.